Private tuition is an excellent option for those who wish to learn yoga but are restricted by their schedules or physical considerations. It is also beneficial to those who attend regular classes, but wish to spend intensive time looking at a particular issue, limitation or pose. Alternatively, form your own group of up to five for a semi-private class. Great for friends who want to practice together! Traditionally, a student (Sadhaka) would take individual instruction from their teacher (Guru). This is still the most efficient, effective and safe way to learn. Of course, the group class offers a sense of comradery and is financially accessibility, so all ways of learning are positive, but for those new to yoga, private tuition is advised. 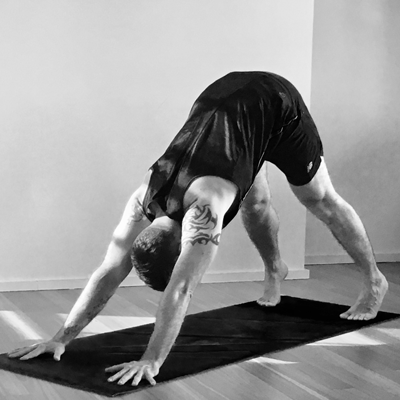 The Package: 4 one hour private yoga sessions over two weeks is a fantastic way of becoming familiar with the practice so that attendance in General Classes, with understanding of the Beginners alternatives, is smooth. $55 fee for classes cancelled less than 24 hours in advance. $35 for classes cancelled less than 48 hours in advance.